I have talked openly about my issues with anxiety (Comfortable in My Own Skin) in the past. If you suffer from an anxiety disorder as well, you will find that the first step to overcoming anxiety is to learn to manage it. When someone follows you into a dark alley, those anxious feelings of a racing heartbeat and sweaty palms give way to heightened senses and a rush of adrenaline that can save your life. This is the fight or flight response. In the case of frequent anxiety, the fearful feelings are dread of a particular situation and not the situation itself. Getting caught in traffic can cause an anxiety attack over what might happen when you get to work late. Starting a new job can bring on anxiety attacks. You don’t know anyone and fear of that unknown can send you into a panic. Everyone experiences panic or anxiety in small ways. Like the fight or flight response, it can save your life. In new situations, we get panicky but when the outcome we fear fails to materialize, the anxiety stops. For someone with chronic anxiety, this is not the case. Every situation that brings anxiety is not life-threatening. More than likely it is an extremely stressful situation that has brought on the anxiety as a way of dealing with it. Unchecked anxiety of this type can lead to depression. If, like me, you suffer from anxiety attacks on occasion or a more frequent anxiety disorder, there are steps you can take to keep your anxiety under control. 1. See a professional. This is always a good first step. Self-diagnosis of any type of physical or mental condition is unwise and can be dangerous. A professional psychologist can help you understand your anxiety and prescribe medication or other effective techniques. In addition, I have found counseling and group therapy extremely helpful (Anxiety Triggers). 2. Get a good night’s sleep. During the sleep cycle, your body repairs itself. You feel more rested after several hours of restorative sleep, reaching the REM stage. Most people need eight hours a night which varies within an hour or two each way. I also take at least one nap on the weekends, or whenever I feel like I’m going to crash (Ripples and Aftershocks). 3. Exercise on a consistent basis. Exercise helps you to use oxygen more efficiently. It helps to get more oxygen to the brain. It also increases focus which may help you see solutions to problems rather than simply worrying about them. (The Sparkpeople website has lots of fun exercise videos). 4. Meditate. Meditation is more than chanting mantras. Yoga is an exercise that involves quieting the mind and controlling your breathing. Simple mediation such as taking 5 minutes to clear your mind everyday can work wonders in the fight against anxiety. (I found a great app called Calm that has daily 10 minute meditations). 5. Manage the worry. When you feel your pulse start to quicken, count backwards from ten. As you count, focus on the situation. What has actually happened? Resist the urge to read anything more into the situation. 6. Don’t use alcohol. You might think that the glass of wine is relaxing your tension but alcohol is a depressant. In anxious situations you could rely too heavily on it and gain another problem in the process. 7. Find some relaxing activities. Stress can rob you of your energy. On a regular basis, do something you like such as gardening, painting, reading or listening to music (or blogging). Anxiety can come into your life at any time. It’s normal. When the anxiety becomes frequent you could be at risk for more serious conditions. If you feel your anxiety is starting to take over your life or increasingly causing you problems, seek professional help immediately. There is no need to suffer in silence. 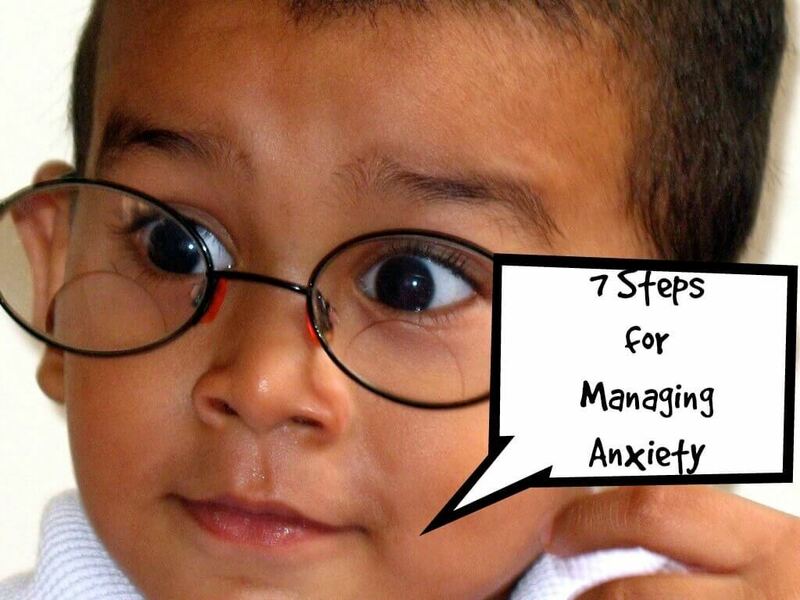 How do you manage your anxiety?